Amy offers a free initial telephone consultation, and is more than happy to answer any questions you might have about acupuncture or traditional Chinese medicine. Amy is a licensed acupuncturist in Portland, Oregon. She has her Master's degree in Acupuncture and Oriental Medicine from the Oregon College of Oriental Medicine and specializes in women's health, fertility and pain management. I use the traditional techniques that have been used for over 2000 years. I will take your pulse, and look at your tongue, and ask questions to determine which treatment is the best for your individual needs. These diagnotic methods tell me what is happening in your body, and help select which acupuncture points to use in the treatment. I use only sterile, prepackaged, one-time-use-only needles, which are very thin (much smaller than a hypodermic needle!). After inserting the needles, I may use some Tuina massage techniques to help relax you after your acupuncture treatment. I may also use a heat therapy called moxibustion, or a muscle-releasing therapy called cupping. Acupuncture is the insertion of very small needles into specific points on the body to engage the flow of energy to help the body balance out energy. Although Western medicine is unable to explain how acupuncture works, the traditional theories are that energy flows through the body in specific channels, called meridians, and rebalances the body to stop pain and relax mind and body. Cupping is a relaxing massage-like technique where a glass cup creates suction on the skin and draws out stagnation. This technique relieves pain where the cup has been placed, and is very relaxing. I use cupping to move energy or stagnation in the body. Cupping is the ideal technique to use for patients with back pain, most injuries or with asthma. It is also idea for motor vehicle accidents, as it immediately relaxes the soreness caused by impact or whiplash. “Tui” means pushing, and “Na” means grasping. Tuina is a form of massage used by Traditional Chinese Medicine practitioners that is closer to a deep-tissue massage than Shiatsu. It is used in order to help relax the tendons and muscles, while opening the channels that flow through the body. Tuina is helpful with increasing blood circulation to alleviate pain, relieving muscle spasms, and gently breaking up adhesions in the muscles and scar tissue. Tuina is used for sports injuries, repetitive motion pain, back and shoulder pain, knee and elbow pain, and even hernias. Acupuncture and Traditional Chinese Medicine raises the fertility potential for women who are having difficulty conceiving. When the energy and blood are circulating freely throughout the body, all of the tissues and organs are properly nourished and functioning at optimal state. When this occurs, a woman’s health and chances for conception are increased. Acupuncture and Chinese herbal medicine provide a safe and drug-free approach to treating this imbalance. Increasing the flow of blood and energy to the uterus, which improves the chances of implantation in the uterine wall. Reducing stress and regulating hormones. For ideal effectiveness, an acupuncture practitioner should be seen several months before trying to conceive. This gives the body a chance to balance the hormones and energy, creating a healthy environment for conception. 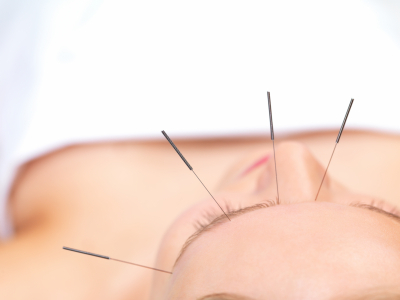 Acupuncture can also be used successfully with Western fertility drugs and procedures.